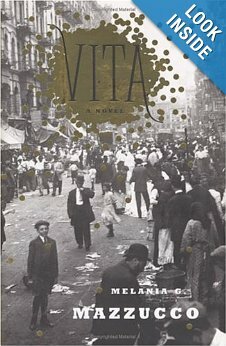 Melania G. Mazzucco’s novel, Vita, brings the reader a saga, a journey of hopes, dreams, illusions and disillusionment that comprises the historic emigration of the Italians. Historical fact is infused with fiction in this incredible story of Vita (aged nine) and Diamante (aged 12), two cousins who leave behind their poor families in Italy, and who immigrate to New York City in 1903. They make it through customs at Ellis Island and must find their way to where Vita’s father lives, in a boardinghouse located in the Italian Quarter. Mazzucco’s descriptive words leave nothing to the imagination, as she blends the horrid and squallid conditions the poor Italian immigrant had to deal with. Survival was difficult, and no prose is minced in telling the story of Vita and Diamante’s assimilation into the America of New York City. From decrepit living quarters, to hard labor; from lack of food and essentials, to disease and death; from theft and murder to chaos, we see it all through their eyes We also see it through the eyes of the other many characters in the story, characters that are relevant. Throughout all of their struggles, Vita and Diamante’s love for each other remains constant. Diamante is forced into contractual hard labor as a water boy for a railroad company, causing him to move west. His dreams shatter when he realizes he has been duped by the railroad company, and he makes his way back to New York City, to find Vita, the force who has kept him alive. The story weaves its web from Italy to New York City, and back again to Italy, as Vita’s son searches for his mother’s past, during WWII, when he served as a Captain in the U.S. Army. Vita, herself, also makes a trip to Italy, and returns to New York City. From dreams to reality, motivation to complacency, the harshness of life, and the struggles, each manages to survive in their own way, and each realizes that the America they dreamed of, and the America that held their hopes when they first emigrated from Italy, is not the America they know. The Italian immigrant story is a complex one, and one that is often unnoticed in the scheme of things. But, it is a story that plays a major stepping stone in the human building blocks of New York City. Melania G. Mazzucco relates the history with her incredible insight into the plight of the Italian immigrant (Diamante and Vita were ancestors of hers), and brings us, not only a story filled with harsh realities, but a story of lives consumed by love. One must read Vita, the novel, slowly in order to fully realize and comprehend the amazing content and substance of the brilliant gift she has given us. Stronger Than Iron: The Destruction of Vilna Jewry 1941 1945: An Eyewitness Account, by Mendel Balberyszski is a book, of not only detailing history as it occurred, but also one of insight into the initial vibrancy and the eventual demise of the Jews of Vilna. The Jews of Vilna and their religion and culture, geographics and fight for survival, within the ever-changing demographics of the country due to the Nazis overtaking the city is strongly and intensely depicted within the pages. I was amazed at the intense detailing of ghetto life, and the historical rendering presented to the reader through Balberyszski’s eyes. Beginning with the separation of the Jewish population into two Vilna Ghettos, Balberyszski leaves no stone unturned in his vivid word imagery. His word paintings kept this reader involved from beginning to the end of the book. The extreme German discrimination and restrictions imposed upon the Vilna Jews is heavily documented within the pages. The harshness of life, the daily struggles to endure under the extreme duress, adversity and horrific scenarios is painted without diminishing the actual occurrences. Balberyszski was determined to leave an accurate accounting of the events, and Stronger Than Iron is his eye witness documentation of how history unfolded before his eyes. Ethical dilemmas were daily battles evoking strong emotional burdens, and within those emotional and ethical struggles the Vilna Ghetto Resistance Organization was left with heavy choices to decide upon. To cooperate or not cooperate, that was one extremely primary question that there didn’t seem to be a clear answer to. The large Vilna ghetto leaned towards cooperation, while the small ghetto did not bend towards the Nazi German demands. 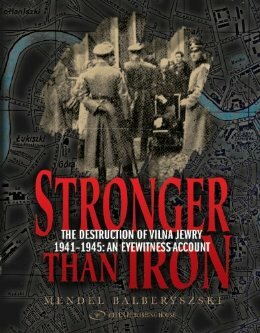 Stronger Than Iron: The Destruction of Vilna Jewry 1941 1945: An Eyewitness Account, is a poignant and heart-wrenching book, detailing the historical demise of the Vilna Jews quite clearly. Nothing is left to the imagination through Balberyszski’s concise, forthright and compelling survivor accounting of the horrific events that eventually destroyed and liquidated the small Vilna ghetto. That anyone was able to survive is unbelievable, especially after reading of the atrocities, horrors, and situations that the Jews were thrust into. The Jews and their will to survive, their will to keep the past within the context of the present, their strength to overcome the adversity, yet keep the devastation of the past, in the forefront, is part of the brilliance and masterful writing of Mendel Balberyszski. Stronger Than Iron: The Destruction of Vilna Jewry 1941 1945: An Eyewitness Account, is a significant book of urgent historical importance and an invaluable addition to Holocaust/Shoah history. It is sobering. I highly recommend it, and believe it should be read by everyone in order to keep the memories of what transpired and led to the Vilna small ghetto annihilation alive for future generations to come. The inspiring and heart felt story will stay with me forever. 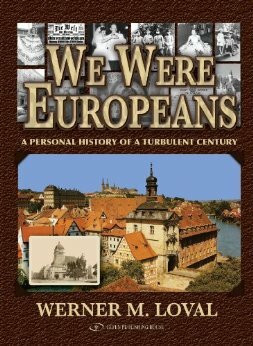 We Were Europeans, by Werner M. Loval, is book that portrays an incredible, personal, family/ancestral journey, both before World War II, and post war. Loval came from a respected, well off, German-Jewish family, and before the war they were treated with dignity within their community. That all ended beginning on January 30,1933, when Hitler was sworn in as Chancellor of Germany. From that point forward, Loval’s story takes on dimensions that are precarious and horrendous, as he and his family fight to survive. 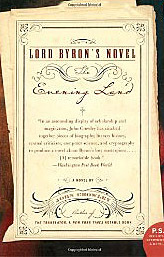 I liked the novel-within-a-novel aspect of this well-written book, Lord Byron’s Novel: The Evening Land. The author, John Crowley, weaves a tapestry that manages to move with ease from one generation down to the next, through a story line that is filled with much fantasy. Crowley gives us imagery, that we peruse, as fine as Byron’s beautiful poetry, with word-paintings we visualize before us. In this novel, part fact, part fiction we glimpse life in the 1800s, and see what it was like to be abandoned by one’s father, and raised by one’s mother. Ada’s mother was separated from Byron shortly after Ada was born. Crowley’s story of what might have been if Lord Byron actually wrote and finished a novel sheds an interesting perspective on things. Aside from Byron’s brilliant poetry, the novel is filled with romance, drama, deceit, ruthlessness, murder, and intrigue. It defines familial relationships-love and forgiveness, the loss of a growing up without your birth-father, and coming to terms with that issue. It also defines how genetics play on who we are, what traits are carried through, as we grow up, even if others try to stifle them. Ada, Byron’s abandoned daughter, manages to save the “novel” from destruction, before she herself comes to an early death. “What ifs” are prevalent within the pages…what if her father had written a novel and then wanted it destroyed. What if the novel was not destroyed and Ada created an early computer code for it. What if Ada, reads the novel, and through reading it, Ada learns about herself, and her father, and learns about his intimate details. Her annotating of her father’s novel is, a catharsis of sorts, for her, in this novel which is partly factual within the realm of fiction. Once I began it, I could not put it down until I finished it. Curiosity took hold. Lord Byron’s Novel: The Evening Land, by John Crowley is a book I recommend, even though the reader must resort to suspending belief throughout most of the story. 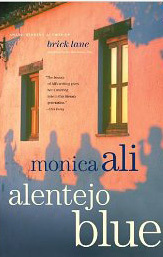 From the author of Brick Lane, Monica Ali brings us a story of individuals and their way of interacting with their environment, in Alentejo Blue, and within her prose we see her brilliance shine through. What is it like to live in a village, with familial lines that reach back generations? We see some of the answers to that question through Ali’s sensitive, thoughtful, and bold writing. And, for those that pass through, did they manage to find the peace of mind they needed, or the escape from their situation? Ali brings us those answers, and so much more, in this study of men and women of all ages and backgrounds…people searching for identity, for redemption, for contentment. The book opens with an elderly man, and his reflections on his life, his troubled life. He is anxiously awaiting the return of Marco Afonso, a son of the village of Mamarrosa, his roots embedded in the village. “He waited for the courage to look up and see his face. When it came, he whispered in his lacerated old man’s voice, “Querido,” he said.” Villagers and tourists alike are affected by his return. Petty differences and jealousies arise, and are fueled. Vasco, dealing with the loss/death of his wife, seems to feel that he is better than most, due to the fact that he lived in the U.S. for several years. There is the dysfunctional family, The Potts, family members who are trying to run away from their problems. 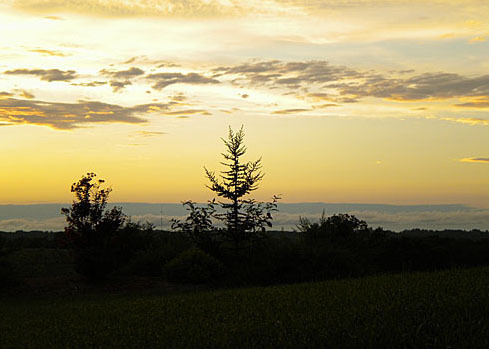 The reader sees nineteen-year old Teresa, trying to escape her current life. Each person appears to be infused within themselves, self-absorbed and at times indifferent to what is occurring around them. Each character brings a feeling of yearning to the book, along with longing and desire, and we see how their lives are entwined with each other, and how each must learn to accept the other for who, and for what they are. The humanness and frailties of each one bonds them together. Although the book might seem to be a set of individual stories, that is not the case. Each person’s story eventually intertwines with another character, within the pages. Ali’s writing brings us a strong sense of time and place, in a thoughtful, yet daring fashion, with characters we don’t soon forget, in Alentejo Blue. Will in the World: How Shakespeare Became Shakespeare, by Stephen Greenblatt, is a page turner of a biography, a biography that is beyond compare, and a biography that I have not read with such eagerness, before, and it is all due to the vibrancy and enthusiasm of the author, Stephen Greenblatt’s ability to blend elegant prose that makes us anxious for more, in order to fill our senses with the world of Shakespeare. How did Shakespeare, from Stratford-Upon-Avon, a small town in the rural countryside, far removed from London, write with such perfection, beauty, emotion, sensuality and elegance, moving the country, the world with his plays, to become a playwright beyond compare and comprehension? Read Greenblatt’s book, and you will find some of the answers to that question, woven in a tapestry so fine, detailed and rich, that if you have never read any of Shakespeares brilliant plays or poetry…you will be tempted to run as fast as you can to your nearest bookstore in order to do so. Having traveled to Stratford-Upon-Avon, myself, on three occasions, and having seen Shakespeare’s birthplace, and even the cradle he slept in, and having encompassed myself in the surrounding countryside, I am aware of some of the endless stimulations that possibly evoked thoughts and emotions in Shakespeare’s mind, his imagination, prompting him to write with such magnificence and passion, becoming the playwright of playwrights. Varied documents, writings, testimonials, and other related data are only a portion of what is included within the pages of this wonderful book. 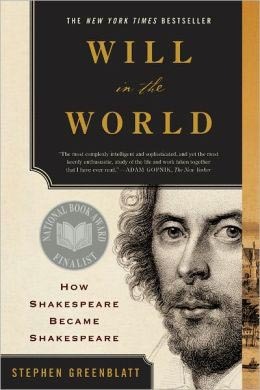 Stephen Greenblatt encompases all knowledge of Shakespeare in Will in the World, and makes a statement that the Bard, himself, wrote all of the magnificent plays, poetry and writings on his own. If Will in the World is sitting idly on a shelf in your house, please, take it out and read it, peruse each line, each page. You will not be disappointed, and you will be surprised, beyond imagination.